With more than 300 million photos reportedly uploaded to social media every day, there is much user-generated content to be optimized and leveraged by digital marketers. And it’s not just photos. It is reviews, comments, videos, purchase sharing, contest entries, and more. In my previous articles about event marketing and reputation management, I touched on aspects of capturing and augmenting this user-generated content — UGC. In this article, I’ll explore the fundamentals for creating “dynamic walls” out of UGC, which provides a means to engage shoppers and maintain dynamic content on your ecommerce site and other web properties. User-generated content can be anything from a tweet to a hashtag-anchored post. It can also be richer content, such as customer photos, videos, or other visual media. It can be as simple as a customer review, or a question-and-answer forum. Regardless of the type of UGC, it is originating from your customers and visitors and is a unique opportunity to engage your audience across a variety of web platforms, to dialogue about your product, service or event. UGC can live in a variety of web properties, from your primary ecommerce site to blogs, partner sites, or a specific subdomain. Many of the platforms I’ve listed below can create a custom subdomain designed to collect UGC via sets of rules, typically a hashtag anchor. Your community of customers can then submit their own photos or content, and these platforms moderate that content and then create a content wall on that subdomain. Some advanced features include the ability to curate the best of your UGC into ecommerce enabled product pages, or create dynamic product walls based not only on hashtags, but also on the amount of product views and customer interactions. Another way of creating content is through contests and sweepstakes. Incentivizing your stakeholders to submit content by means of a potential reward is a good way to build excitement about your business, and can greatly augment your followers or fans. For example, you could have a pin-it-to-win-it contest, which requires only that your users pin their favorite product on Pinterest to be entered into a drawing. It could also take the form of a photo contest on Facebook or Instagram, wherein you ask customers to submit photos or vote on other photos, with some kind of reward for contest entry. Some platforms, below, are able to consolidate UGC across a variety of social channels by means of a hashtag anchor, and then build a dynamic, always-changing content wall displaying these ongoing content submissions. These are good options to build excitement and engagement in real time, particularly when large displays are used onsite during an event, such as a concert. Mobile presents a compelling opportunity to produce UGC because of the ease with which your community can simply snap a photo and upload to your site or social channel. The success of this endeavor is dictated by your efforts to publicize the campaign beforehand. 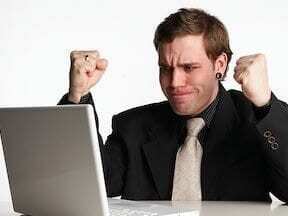 It is therefore important to use a platform that integrates across web, mobile, social, and email. Hashtags should be short and memorable. But also research to make sure they aren’t already in wide deployment by other organizations. Lastly, address media rights management before you start building content with customer photos, particularly if you are going to integrate them product pages on your site. Most people who submit photos do so because they want them to be used. But it’s important to make sure you’ve checked off the legal boxes before proceeding. The same issue presents itself with sweepstakes and contests. Make sure the legal information is presented and agreed upon by the participant — most of these conditions are required by the social channel itself, particularly in the case of Facebook. 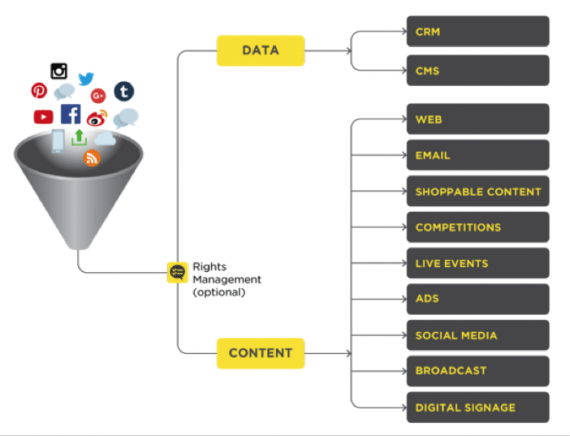 This diagram from Stackla captures the extent to which UGC can flow into your digital properties and beyond, as well as provide valuable data to build your customer profiles within your customer management systems. User-generated content can flow into digital properties from many sources. Source: Stackla. Here are some of the platforms — with pricing, when available — that can help build dynamic content. AddShoppers. The Trending Wall App adds a wall of most shared or most recently shared products anywhere on your site and also works in emails and on Facebook Pages. The platform also features a pin-it-to-win-it app. Trending Wall starts at $100 per month. Blucarat. Blucarat interweaves customer-created photos and conversations from friends, family, and like-minded shoppers. 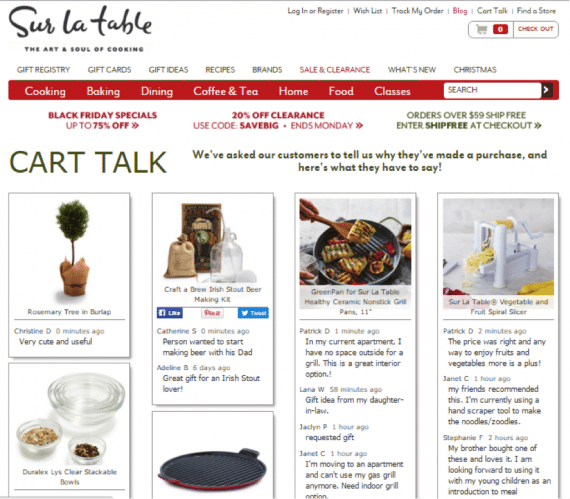 Retailers can showcase the most viewed, purchased, or discussed items to spur discussion and buying. Call for pricing. Candid.io. With a focus on Instagram, Candid is a visual commerce platform that tells a brand’s story with photos and videos streamed to interactive product pages. Starts at $199 per month. CueConnect. This platform creates a personalized shopping “Cue Wall,” complete with sharing buttons and analytics. Free for lower-traffic sites. Curalate applies image recognition algorithms to social media conversations to bring user-generated images from across the social web into a site, creating shoppable pages with content. Call for pricing. EngageSciences allows for stand-alone promotions on social networks or UGC embedded into socialized web pages, and functions across platforms. Call for pricing. Enplug‘s digital display software shares hashtag content on any size device or digital display with streaming social media interactions. Pricing starts at $159 per month. Janrain curates real-time social content, photos, videos, and conversations from social platforms and blogs, and extends the curated streams to sites, mobile apps, TV, and other devices. Call for pricing. Offerpop. Collects UGC via hashtags and allows for direct upload from mobile or desktop. Curates and showcases content from Instagram, Twitter, Facebook, Tumblr, and Vine into product pages and other areas of a website or mobile app. Call for pricing. Olapic. Collects source content in real-time and publishes photos on web and mobile properties after requesting rights. Also has an Instagram shopping platform. Call for pricing. 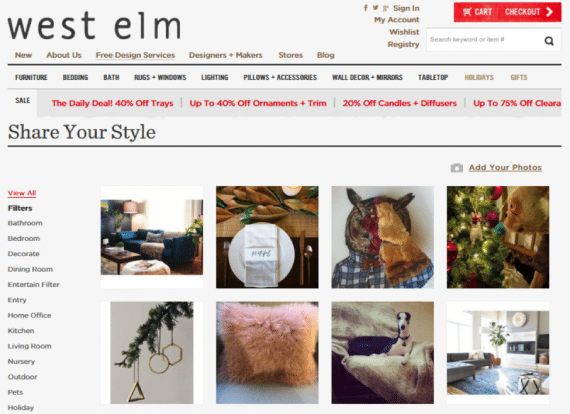 User-generated product wall on WestElm.com, powered by Olapic. Piquora. This multi-network UGC search engine curates and merchandises customer-provided photos on product pages, category pages, and home pages. Converts UGC photos into shoppable ads on Instagram. Call for pricing. ReadyPulse. Collects consumers’ UCG across all social networks and provides a platform to receive rights and publish with full disclosure on ecommerce, in physical stores, advertising, marketing materials, and more. Also has an Instagram shopping app. Call for pricing. ShopSocially. This is a shopping community app that automatically captures and displays a trending products gallery to enable product discovery and conversion on any website, including Facebook pages. Call for pricing. Shortstack‘s contest-based platform generates UGC from fans and followers and rewards social sharing. Starts free, scales up with increased usage. Social Hubb is a cloud-based web app that allows digital marketers to curate, moderate, and publish social media content from RSS feeds via hashtags. Basic starts at $140 per month; limited personal use is free. Stackla. This hosted social platform displays UGC at strategic points throughout the shopper’s buying journey, such as customizable social hubs, landing pages, and social competitions. Plan starts at $1,000 per month. TagBoard‘s social search and display platform uses hashtags to search for and collect public social media and display in one streamlined embedded view. Includes real-time aggregation and moderation. Free with limited features. TintUp‘s platform connects with customers’ visual content via brand hashtag or by influencers, and has an embedded rights management tool to assure user rights. Priced per event or starts at $425 per month. TurnTo creates a product wall from ongoing, current dialogue through its question-and-answer platform, sorted by relevancy, volume of discussion, and most recent chat. Call for pricing. UGC product page, from SurLaTable.com. Source: TurnTo. Votigo. This contest-based platform primarily uses contests and sweepstakes to generate content walls on social channels, in the form of custom landing pages, and also offers pin-to-win Pinterest campaigns. Small business package starts at $29 per month.